To write anything of substance you need a strong foundation. Story is no different. 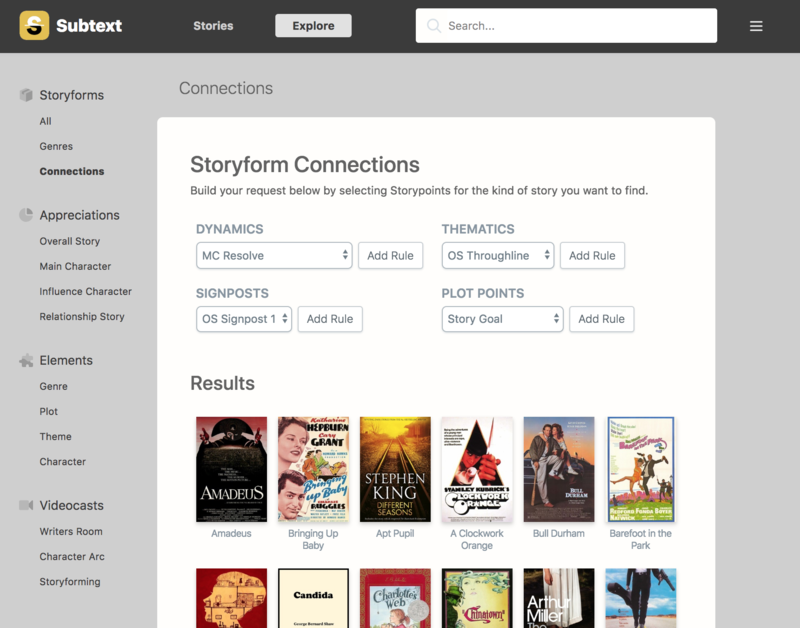 Subtext provides the tools you need to get started down the right path. Unlimited stories. Unlimited structures. All in one place. 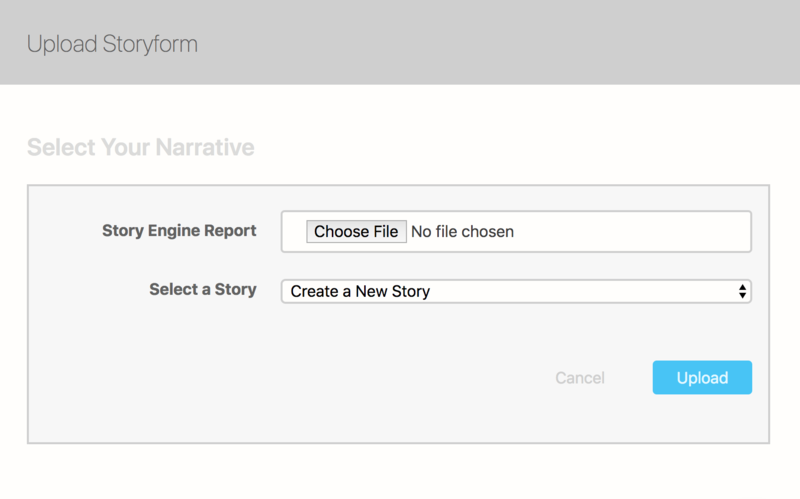 Some stories call for multiple narrative strucures. Think The Empire Strikes Back or Jerry Maguire. One structure definitely does not rule them all. Inspiration often arrives unannouced. A notion of conflict or dynamic character relationship. 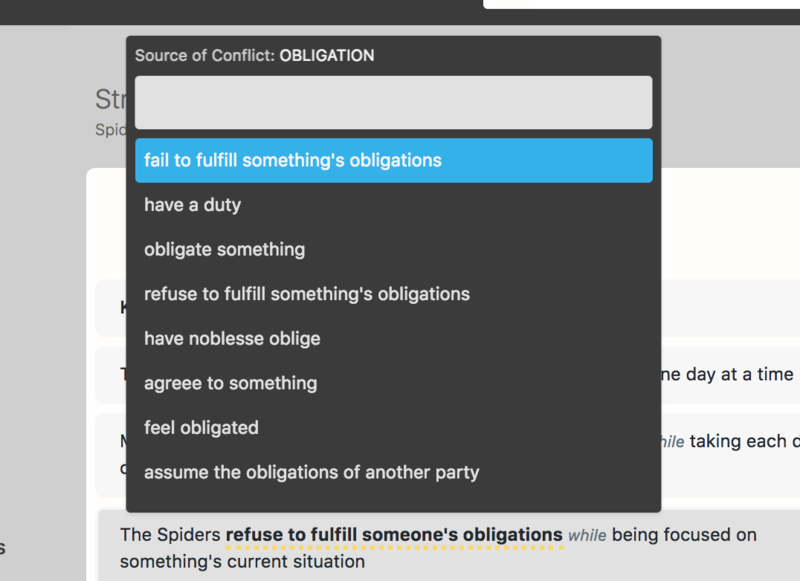 The Conflict Builder handles both and everything in-between. When the muse falls silent, a Random Structure is all that is needed to break down walls. Search out elements of story that connect with your artist's intuition. Find tragedies. Triumphs. Action/adventures and coming-of-age dramas. Narrow down your options and single out the one structure that lights your imagination. 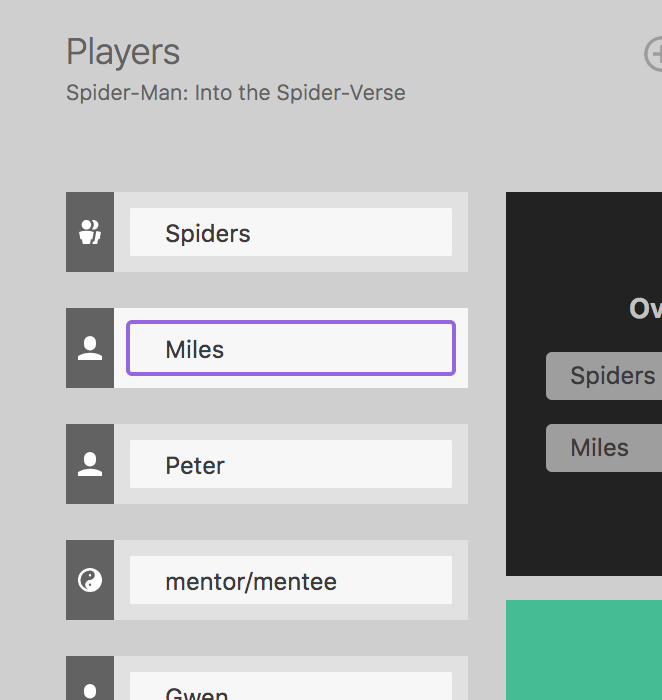 With an intuitive interface designed around our professional Deliberate Storytelling consulting, the Structure Builder opens up new avenues of creativity. 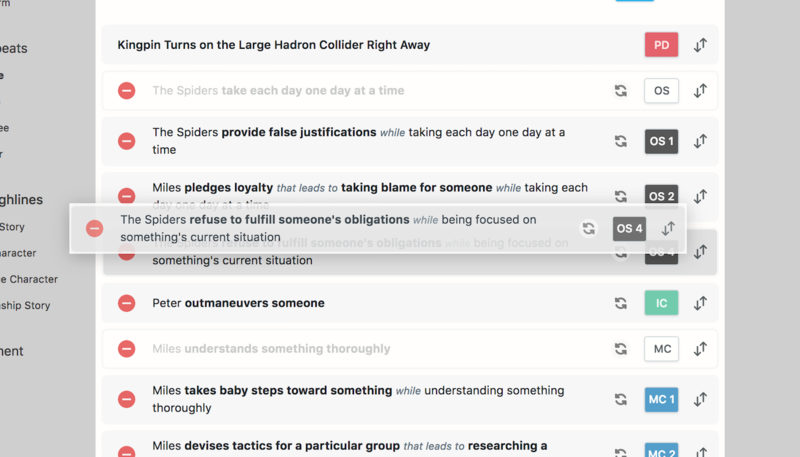 Drag and drop key Storybeats into place and watch as they react instantly to changes in content. 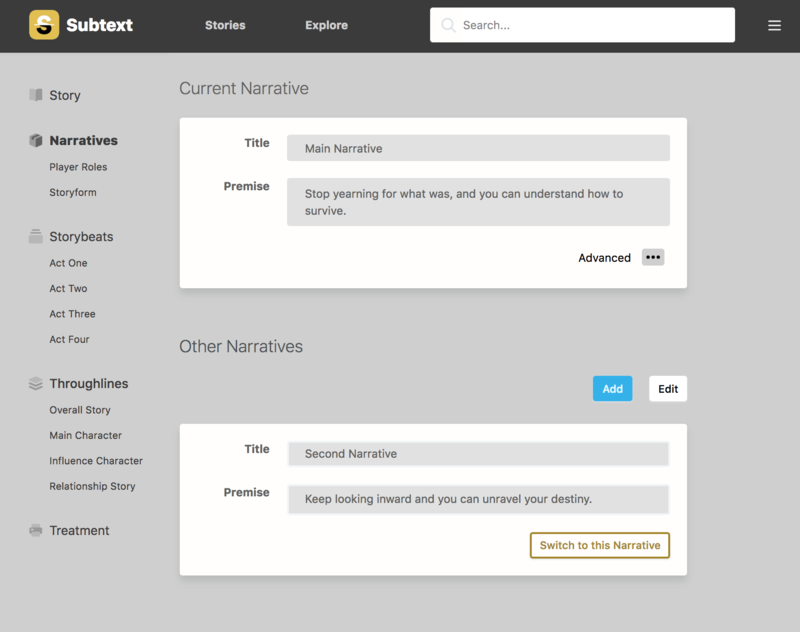 Give your full attention to every Storybeat, fleshing each out with your unique take on narrative structure. Thinking of changing that Main Character's name? Enter once & your changes cascade throughout Subtext. 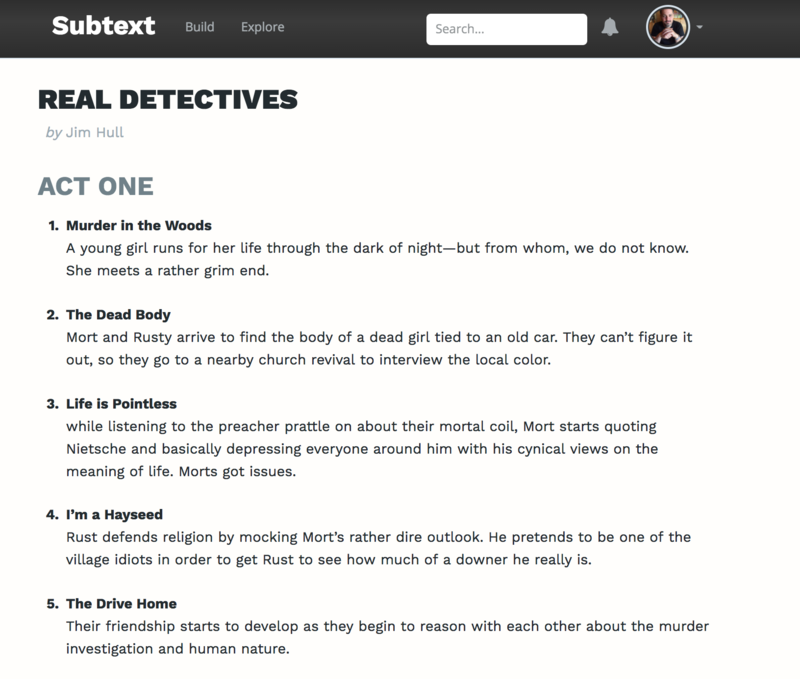 Subtext was built with the working professional in mind. It's one thing to write as a hobbyist--quite another when a team of agents, producers, and managers are eagerly awaiting your next draft. The final result of all this work is a solid and concrete treatment you can send off with confidence. 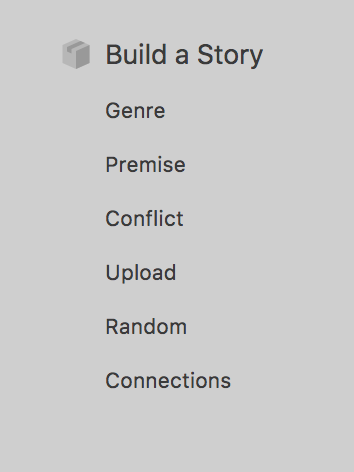 No arcane story structure terminology. Just Act One, Act Two, and Act Three. Build with confidence. Build with Subtext. Unearth the Subtext beneath every great story. © Narrative First 2019 Dramatica® is a registered trademark of Write Bros., Inc.